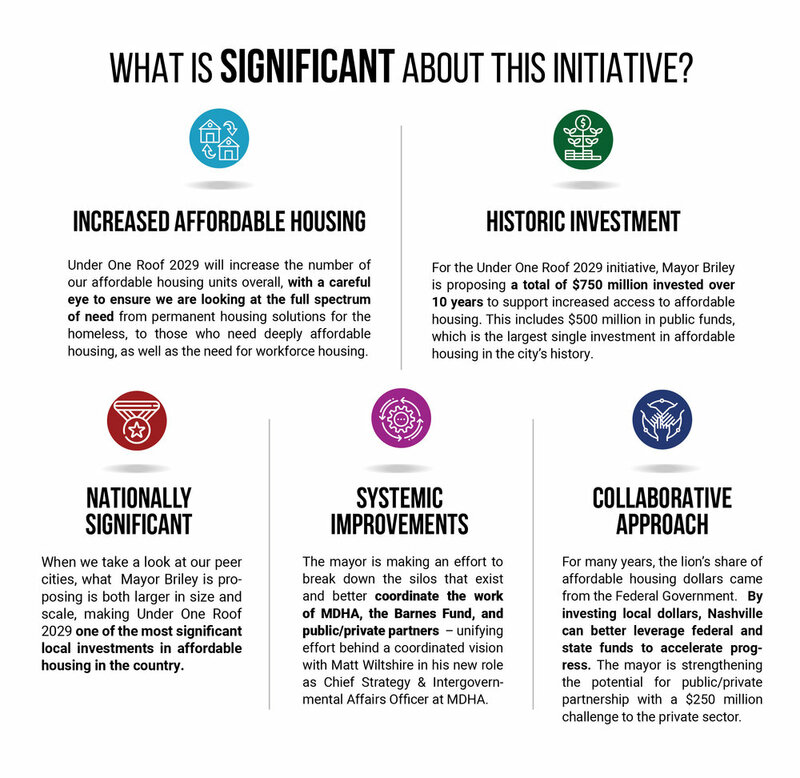 On March 26, 2019, Mayor David Briley announced a sweeping affordable housing initiative designed to significantly accelerate the city’s efforts to address housing needs. 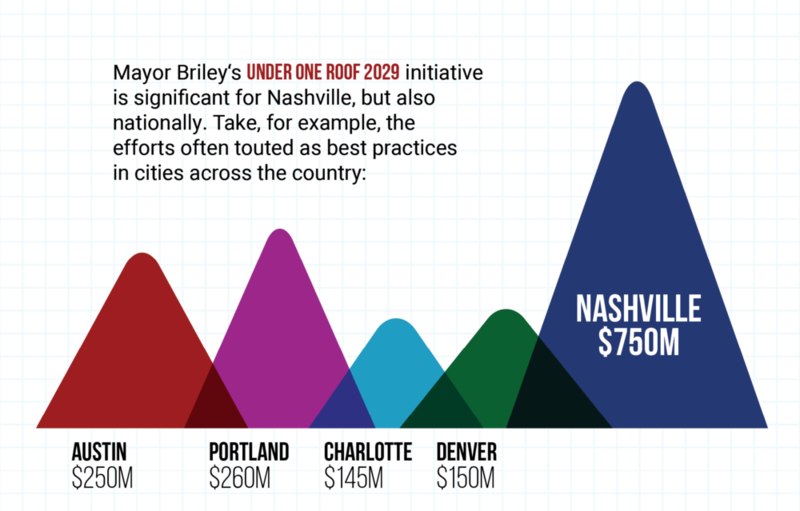 The Under One Roof 2029 initiative aims to invest $750 million over the next 10 years in affordable housing in Nashville, with $500 million of that coming from the city. The initiative is expected to create at least 10,000 new units. Mayor Briley’s initiative will create a 10-year collaborative investment plan for increased affordable housing into 2029.